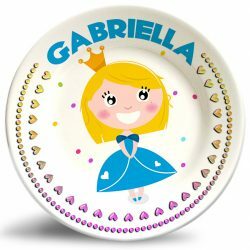 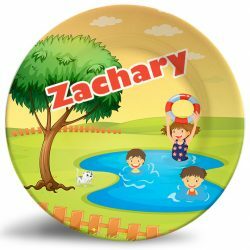 Personalize this adorable Boys and Girls Sledding melamine dinnerware plate for kids! 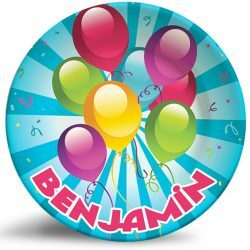 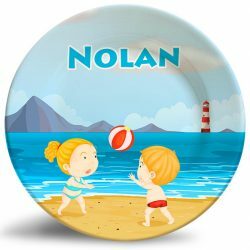 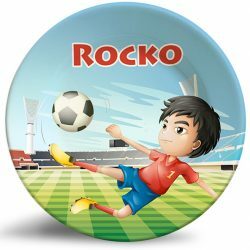 The “Boys and Girls Sledding” personalized melamine dinnerware plate is a vibrant and colorful dinner plate that is dishwasher safe and will never fade. 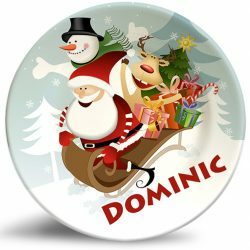 This winter plate design makes for the perfect Christmas present for a brother and sister. 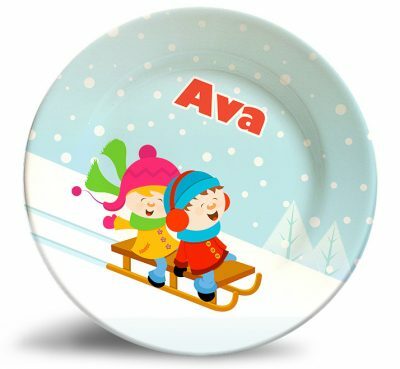 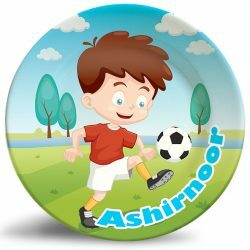 It encourages kids to get out in the winter snow and have fun and exercise! 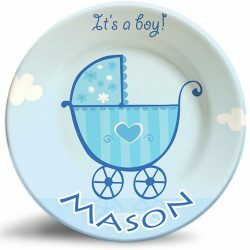 Great plate for my boys! 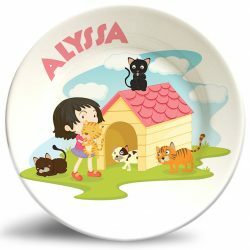 I love this plate for my grandchildren. 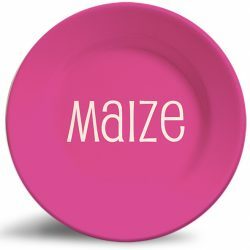 Would give it 5 stars, but they’re not working.